Facing due south, the resort of la Rosière unveils an exceptional panorama over the valley. La Rosière is part of the Espace San Bernardo with the resort of La Thuile in Italy. 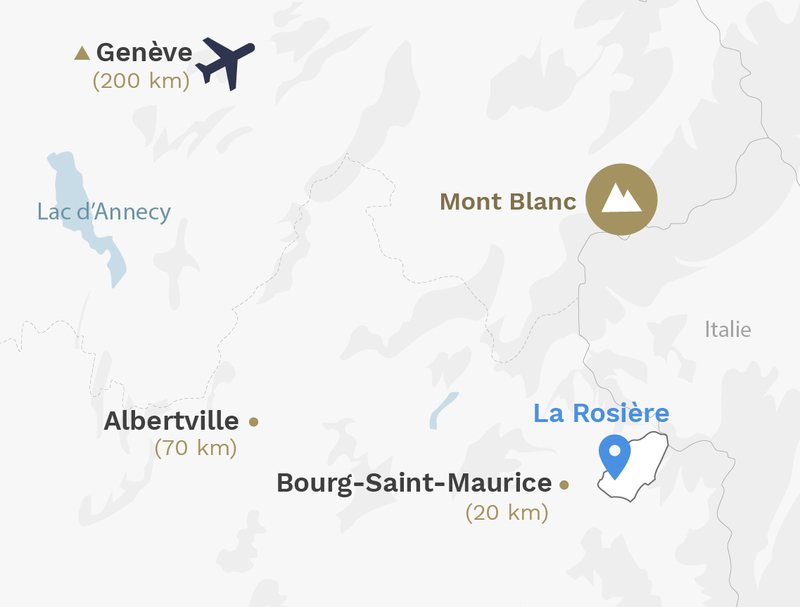 Moreover, La Rosière is the only Savoyard resort to offer an international ski area with a variety of pistes to match its cosmopolitan image. The resort bears the «Family Plus Mountain» label and offers a number of après-ski options and lively evenings to be enjoyed as a family or with your friends. By purchasing your MGM apartment in La Rosière, you are choosing a dynamic and convivial resort which has been able to retain its authenticity with traditional Savoyard buildings in wood and stone and with stone roofing slabs. All year round, Les Houches benefits from an exceptional environment in the heart of the Chamonix valley.